What the hell? 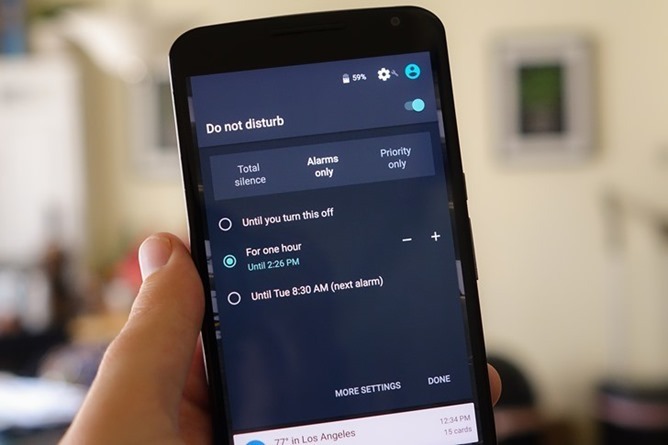 After many users were happy to see the "until next alarm" option return to Android's somewhat nebulous "Do Not Disturb" mode after upgrading to the cutting-edge 6.0.1 build of Marshmallow, several have now reported that the feature is once again gone. What's going on here? Android Police readers have alerted us to the odd change, and Android users on Reddit are also scratching their heads. This problem doesn't seem to be specific to any one phone or tablet, as Nexus 6P, Nexus 5X, Nexus 6, and Nexus 5 owners have reported the same behavior. To be clear, this is the "until next alarm" option disappearing from the Do not disturb screen (see above) after upgrading to 6.0.1. Some are reporting that it goes away after a reboot, but others have seen it disappear literally before their eyes. Many users saw that it was gone after Friday, December 25th. 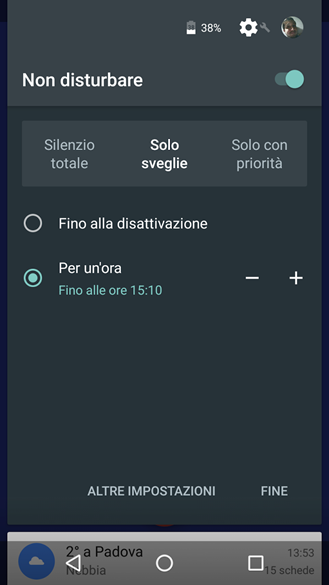 It's possible that displaying the alarm option is controlled by some server-side switch available to Google, as some have suggested. But it seems more likely that the enabling or disabling of the function is the result of some bizarre bug in the latest version of Marshmallow, if only because there's no reason for Google to arbitrarily enable or disable it without a full OS update. "Until next alarm" is a small feature in the grand scheme of Android, but a lot of people found it useful, and this odd situation is causing some considerable annoyance. After a little feedback from our commenters, we've found that 1) the problem is affecting more than just Android 6.0.1, going all the way back to 5.1 in some cases, and 2) it's possible to work around it. If you turn off the automatic date function in the Android settings menu and return the date to something either before December 25th or after January 1st, the Until Next Alarm option returns. That would seem to indicate that this is definitely a bug, and it should return to everyone on New Year's Day. Google will probably patch it in the next incremental release. [Weekend Poll] Does Your Phone Have A MicroSD Card? Do You Use It?